Over 7,500 attendees — from approximately 90 countries — recently participated in InterBrush 2016, a major brush, broom, mop, paint roller and related industry trade fair held every four years in Freiburg, Germany. This year’s three-day event once again took place at the Messe Freiburg exhibition center. It was held during the last week in April and, according to InterBrush officials, featured 200 exhibitors. Prior to the event, it was announced that exhibition space for InterBrush 2016 was sold out. Originating in 1977, InterBrush has long been known as a major international trade fair designed for manufacturers, suppliers and buyers of machinery, accessories and raw materials. Visitors and exhibitors this year came from all over the world, hailing from such countries as Algeria, Belgium, China, Germany, Switzerland, the Netherlands, Poland, Hungary, France, Italy, Portugal, Spain, Denmark, Turkey, Sri Lanka, India, Lithuania, the Russian Federation, South Korea, Egypt, Brazil, Taiwan, Thailand, Malaysia, the United Kingdom, Mexico, Canada, and the United States. Exhibitors showcased a wide assortment of raw materials as well as finished and semi-finished products and machinery. According to organizers, this year’s InterBrush also provided attendees the opportunity to become better acquainted with important trends and the latest innovations found in the brush machinery and related fields. In addition, InterBrush visitors had the chance to speak face-to-face with many experts and decision-makers from all over the world. Three trade affiliations — the American Brush Manufacturers Association (ABMA), the European Brushware Federation (FEIBP), and the Association of German Brushware Producers (VDPB) — also had a major presence at this year’s InterBrush, with key representatives from each group manning a three-sided stand at Messe Freiburg. ABMA Executive Director David Parr also praised this year’s trade fair, stating that there was a noticeable increase in the quality of exhibition stands. “Compliments should also go to the city of Freiburg for having such a wonderful venue in place for our industry’s most important international exhibition,” Parr said. The positive atmosphere at InterBrush 2016 provided a solid platform for exhibitors to present new machinery and key raw materials, and for visitors to increase their knowledge of these items and more. This was the first InterBrush since machinery manufacturer The Boucherie Borghi Group came together. Representatives from German machinery manufacturer Zahoransky AG were also well satisfied with the exhibition. “InterBrush 2016 was very successful for our company. It allowed us to present new machine developments to an international audience,” Zahoransky representative Robert Dous said. “We were especially delighted with securing numerous business deals directly at the event. Fellow exhibitor DKSH Switzerland Ltd. Senior Sales Manager Reinhold Hörz agreed. He added that InterBrush 2016 served as an important meeting point, and the place to be for making key contacts and forging strong business relationships. The same can be said of exhibitor Hahl Pedex, whose CEO, Florian Kisling, indicated he was very impressed by the 12th InterBrush. InterBrush 2016 also provided a platform for better understanding — and conquering — new markets, according to Ed van Gulik, representing DuPont Filaments. Referring to the positive responses from exhibitors and visitors alike that he personally received during the three days of InterBrush 2016, Daniel Strowitzki, representing Messe Freiburg/InterBrush, said the trade fair’s successful, international exhibition model proves to him that the city of Freiburg is very capable of hosting a professional, leading global event. “In four years, 2020 will mark the 13th InterBrush, when the overwhelming majority of this year’s exhibitors and visitors will travel back to Freiburg from all over the world,” Strowitzki said. InterBrush officials have noted that several industry trade associations and manufacturers continually observe various companies in the brush and related fields postponing replacement investments until the upcoming InterBrush. This helps representatives from these companies better learn about state-of-the-art technologies, and predict which types of machines the industry will likely produce in the years to come. Prototypes presented at the various InterBrush exhibition stands provide company officials with a glimpse into the future, helping them make key decisions based on the technological direction the industry is moving toward. InterBrush 2016 was supplemented by the exhibition, “From Broom To Art — Brushes Reveal Their Hidden Talents.” This first-time event is a joint initiative between French and German broom industry associations, and is located in historic Meckelhalle, in downtown Freiburg. The exhibition — which officially began on the eve of InterBrush 2016 and hosted InterBrush’s opening ceremony — will run through May 25. It offers insight into the history of the brush and related industries, the immense variety of products manufactured by these industries and the wide assortment of applications found within these products. 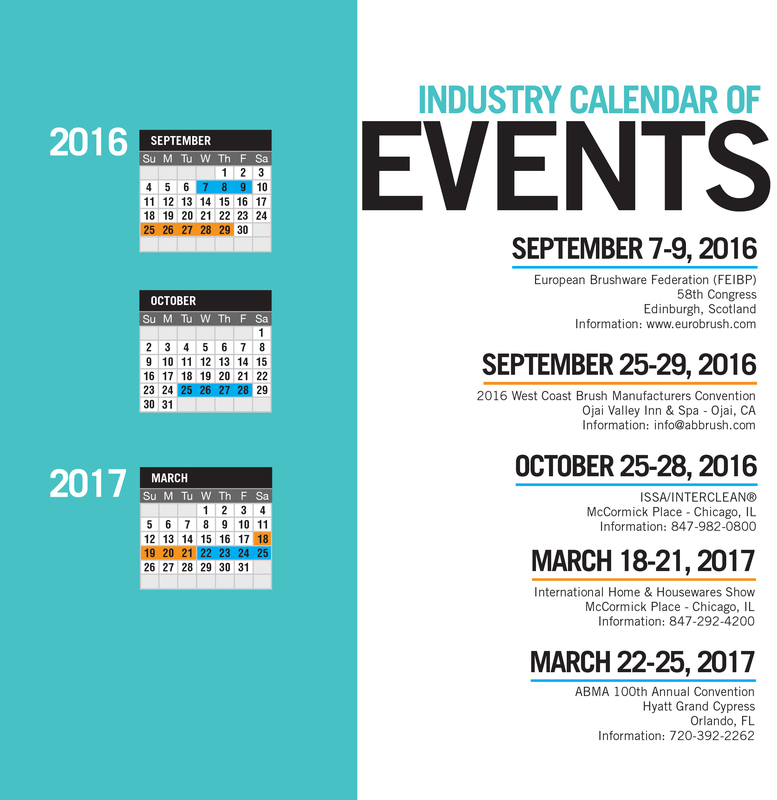 Editor’s note: Full coverage of InterBrush 2016 will be continued in the upcoming May/June print issue of Broom, Brush & Mop Magazine. 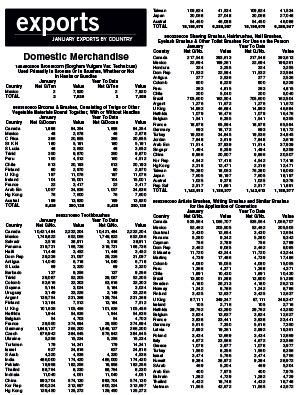 U.S. government trade figures for January 2016 indicate raw material imports were down in three categories outlined: hog bristle, broom and mop handles and metal handles, compared to January 2015. Import totals for January 2016 were up in seven finished goods categories outlined: brooms of broom corn valued at more than 96 cents, toothbrushes, hairbrushes, shaving brushes, paint rollers, paintbrushes and upright brooms, compared to January 2015. The United States imported 14,088 kilograms of hog bristle in January 2016, down 51 percent from 28,701 kilograms imported in January 2015. China sent 13,910 kilograms of hog bristle to the United States during January 2016. The average price per kilogram for January 2016 was $28.22, up 75 percent from the average price per kilogram for January 2015 of $16.12. The import total of broom and mop handles during January 2016 was 1.1 million, down 15 percent from 1.3 million for January 2015. During January 2016, the United States received 505,060 broom and mop handles from Brazil and 362,216 from Honduras. The average price per handle for January 2016 was 93 cents, up 4 percent from the average for January 2015 of 89 cents. January 2016 imports of brush backs totaled 526,710, up 88 percent from 279,685 for January 2015. Sri Lanka sent 298,471 brush backs to the United States during January 2016, while Canada shipped 228,239. The average price per brush back was 47 cents during January 2016, down 15 percent from 55 cents for January 2015. The import total of metal handles during January 2016 was 2.1 million, down 5 percent from 2.2 million for January 2015. During January 2016, China sent 1.2 million metal handles to the United States. The average price per handle for January 2016 was 95 cents, down 11 percent from $1.07 for January 2015. The United States imported 556,935 brooms of broom corn valued at more than 96 cents per broom during January 2016, up 2 percent from 544,272 for January 2015. All brooms shipped to the United States during January 2016 came from Mexico. The average price per broom for January 2016 was $2.52, up 5 percent from $2.40 for January 2015. The import total of brooms and brushes of vegetable material during January 2016 was 232,045, down 47 percent from 433,898 brooms and brushes imported during January 2015. Canada exported 122,459 brooms and brushes to the United States during January 2016. The average price per unit for January 2016 was $1.33, up 45 percent from the average price for January 2015 of 92 cents. The United States imported 102.2 million toothbrushes in January 2016, up 27 percent from 80.3 million imported in January 2015. China sent 67.2 million toothbrushes to the United States during January 2016, while Vietnam shipped 17 million. The average price per toothbrush for January 2016 was 20 cents, down 20 percent from the average price for January 2015 of 25 cents. January 2016 imports of hairbrushes totaled 3.6 million, up 3 percent from 3.5 million for January 2015. All hairbrushes shipped to the United States during January 2016 came from China. The average price per hairbrush was 27 cents during January 2016, the same as for January 2015. The United States imported 8.6 million shaving brushes in January 2016, up 5 percent from 8.2 million imported in January 2015. China sent 6.3 million shaving brushes to the United States during January 2016. The average price per shaving brush for January 2016 was 20 cents, up 100 percent from the average price for January 2015 of 10 cents. The import total of paint rollers during January 2016 was 5.7 million, up 21 percent from 4.7 million for January 2015. China sent 4.5 million paint rollers to the United States during January 2016. The average price per paint roller for January 2016 was 48 cents, down 4 percent from the average price for January 2015 of 50 cents. U.S. companies imported 18.6 million paintbrushes during January 2016, up 44 percent from 12.9 million paintbrushes imported during January 2015. China shipped 18.2 million paintbrushes to the United States during January 2016. The average price per paintbrush for January 2016 was 27 cents, down 36 percent from the average price for January 2015 of 42 cents. The total import of upright brooms for January 2016 was 1.8 million, up 80 percent from 1 million for January 2015. China sent 1.7 million upright brooms to the United States during January 2016. The average price per broom for January 2016 was $1.38, down 16 percent from the average price for January 2015 of $1.64. Export totals for January 2016 were up in four categories outlined: brooms and brushes of vegetable materials, toothbrushes, shaving brushes and paintbrushes, compared to January 2015. The United States exported 5,428 dozen brooms and brushes of vegetable materials during January 2016, up 62 percent from the January 2015 total of 3,344 dozen. The United States sent 1,898 dozen brooms and brushes to Canada during January 2016. The average price per dozen brooms and brushes was $46.08 in January 2016, up 7 percent from $42.89 for January 2015. During January 2016, the United States exported 18.2 million toothbrushes, up 49 percent from the total recorded in January 2015 of 12.2 million. The United States exported 10.4 million toothbrushes to Canada, 1.8 million to Germany and 1.7 million to Mexico, during January 2016. The average price per toothbrush for January 2016 was 34 cents, down 33 percent from 51 cents for January 2015. The United States exported 1.1 million shaving brushes during January 2016, up 26 percent from 871,726 shaving brushes exported for January 2015. Brazil imported 705,600 shaving brushes from the United States during January 2016, while Canada received 217,548. The average price per shaving brush for January 2016 was $1.01, down 20 percent from the average price for January 2015 of $1.26. January 2016 exports of artist brushes totaled 869,831, down 6 percent from 922,175 for January 2015. Canada received 535,564 artist brushes from the United States during January 2016. The average price per artist brush was $2.68 during January 2016, up 4 percent from the average price for January 2015 of $2.58. The export total of paintbrushes during January 2016 was 97,957, up 18 percent from 82,833 for January 2015. Canada imported 42,636 paintbrushes from the United States during January 2016, while the United Kingdom received 33,241. The average price per paintbrush for January 2016 was $11.81, down 25 percent from $15.83 for January 2015. 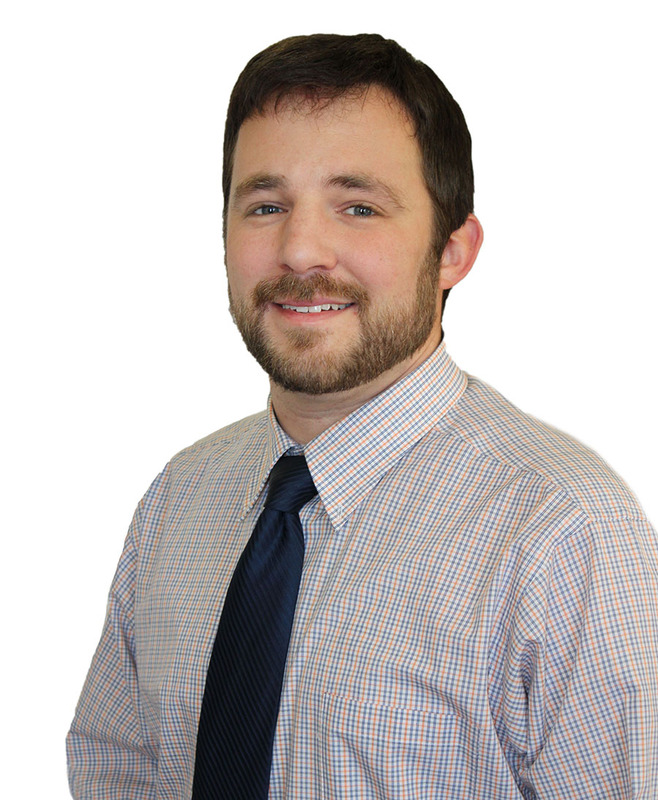 The Jewel Wire Division of Loos & Co., Inc. has added a new inside sales representative, Adam Brindamour. Brindamour's main responsibility is working directly with the company’s brush wire customers to process orders and ensure the company is meeting the needs of the market. Brindamour has a background in sales. Jewel Wire has been providing custom brush wire products for over 60 years. Loos & Co., Inc. is a manufacturer of stainless steel and specialty alloy wire and wire products, aircraft cable, wire rope, and military and commercial cable assemblies. Visit www.loosco.com for more information. Since 1996, Traxstech Corporation has manufactured fishing equipment. The company manufactures various mounts, rod storage devices, downriggers, planer reels and masts, electronics and accessories at its Chesaning, MI, plant. “To fabricate these products, Traxstech uses approximately 40 tons of aluminum every year. The aluminum is precision saw-cut into more than 1,000 parts that go into 140 different assemblies,” said Traxstech owner Jeff Miller. For years, Traxstech deburred manually with hand sanders, files, blades and anything else that would work. But as business increased and the company grew, hand-deburring became inefficient and impractical. Miller purchased a single-head, semi-automatic end-deburring system, with Abtex-customized brushes designed specifically for Traxstech. The 2-horsepower motor drives a 12-inch nylon abrasive filament brush, and the machine features a variable-speed drive. Its table accommodates extrusions from 4 to 46 inches long. Miller used to worry about payback since the machine would sit idle for long periods. Abtex Corp. has hired Christian Donovan as operations manager. Donovan was most recently principal manufacturing engineer at TRW Automotive, in Auburn, NY. 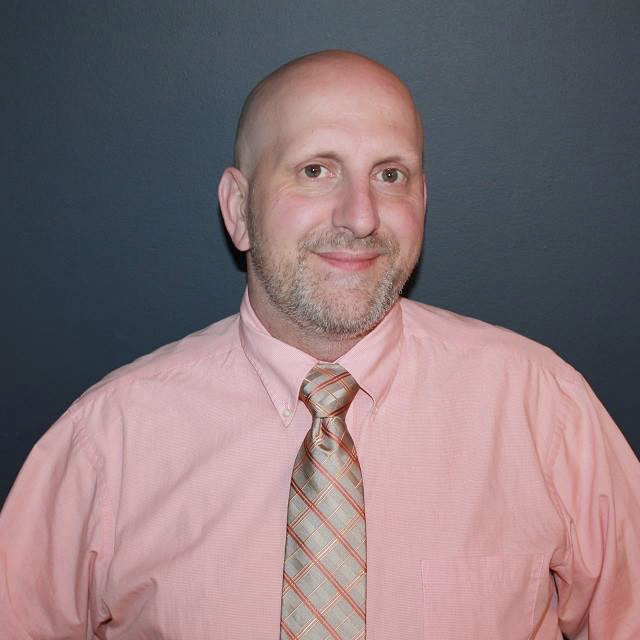 He has been involved in equipment manufacturing since his honorable discharge from the U.S. Navy in 2000, holding roles of increasing responsibility in test, process and production engineering and management. He holds an MBA from the University of Rochester’s Simon Graduate School of Business. Since 1980, Abtex Corporation, of Dresden, NY, has been providing integrated brush/machine deburring solutions to the North American manufacturing industry. The company supplies filament brushes and custom-designed deburring machines for a wide variety of machined-part, aluminum-extrusion, fine-blanked and powdered-metal applications. Customers include manufacturers such as automotive Tier 2 & Tier 3 parts producers. Cardinal Brush Corporation, of Olathe, KS, a provider of cylindrical and rotary replacement brushes as well as squeegee blades to the commercial and industrial floor cleaning industry, has introduced Prematek™ Genuine Rubber Squeegees. 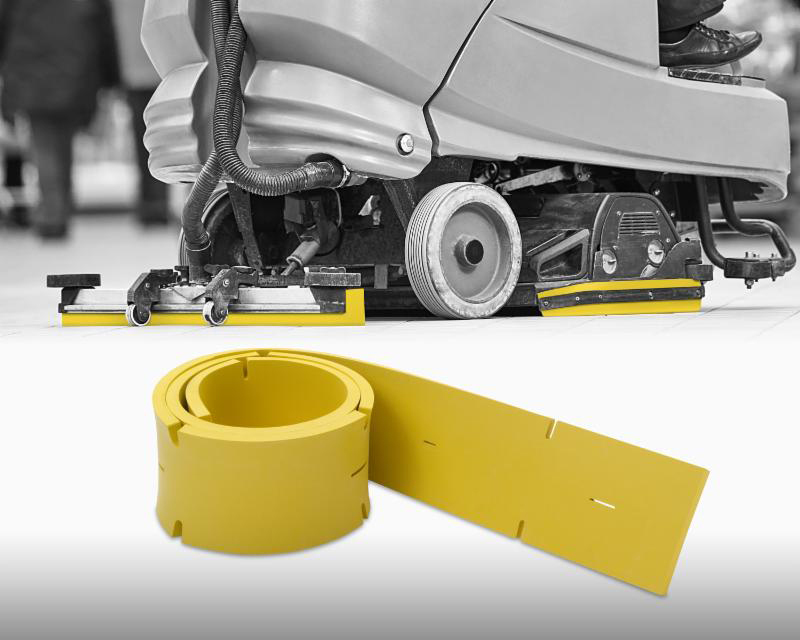 Part of the ProCut™ line of floor machine squeegees the company introduced in 2014, Prematek™ is the company’s new premium product in the line, and is engineered from natural rubber. • Requires less energy, which can result in longer battery life, even when using less water. Visit www.CardinalBrush.com for more information. on his 50 years of service to the company. "When company founder John Malish hired Wanna Gunnoe in 1966, he had no idea that 50 years later, Gunnoe would be celebrating 50 years of service with the company. Yet, that is exactly what happened and Gunnoe continues to report to work every day for Malish and will do so for the foreseeable future. "After following his brother north to Cleveland from their native West Virginia, Gunnoe found work at the same company that had hired his brother. 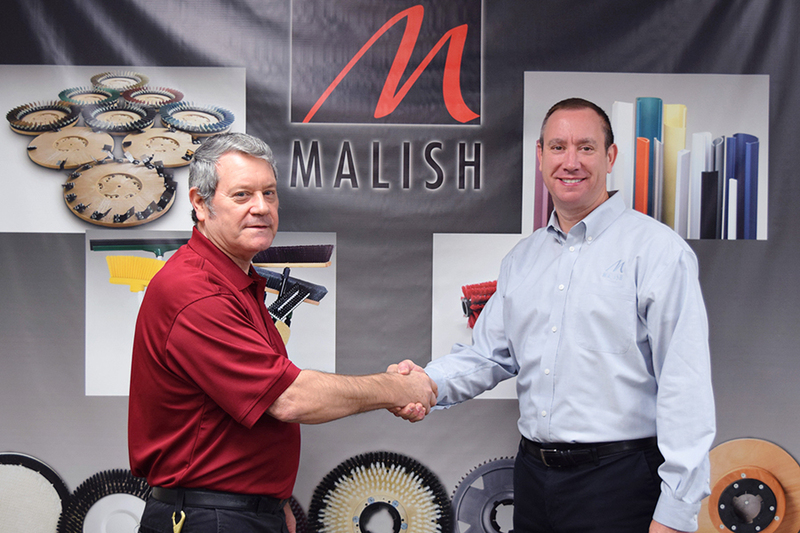 Malish Brush & Specialty Company was a fledgling manufacturer that was growing rapidly and constantly on the lookout for good employees who could help them grow. Mr. Malish would shortly discover that Gunnoe met that standard,” according to a Malish spokesperson. Gunnoe has worked in nearly every job in the plant over his tenure. He has worked for John Malish’s son Terry, who headed Malish from 1968 until his retirement in 1998, John Malish’s grandson Jeff, who currently is president of Malish, and even alongside John Malish’s great-grandson, Jon Malish (Jeff’s son). Gunnoe’s history with the company tracks the company’s growth over the years, including the name change to The Malish Corporation, the move to Willoughby, OH, from its downtown Cleveland location, and its expansion into plastics extrusion and sales and manufacturing facilities on three continents. Today, Gunnoe works in the engineering department where he helps produce prototypes, and is also involved in quoting new products. Founded in 1948, The Malish Corporation specializes in the manufacturing of rotary or disc brushes, janitorial brushes, foodservice brushes and the Diamabrush™ By Malish Floor Preparation System. The company is also a custom extruder of thermoplastic tubes and profiles.